3 bedrooms, 3 bathrooms, 3 terraces, pool and spectacular views !! Nestled in the hills of the Reserva de la Biosfera Sierra de la Nieves, with spectacular mountain, lake and see views up to the Moroccan Rif, the house is located in the charming and quiet area of Cerros del Lago. 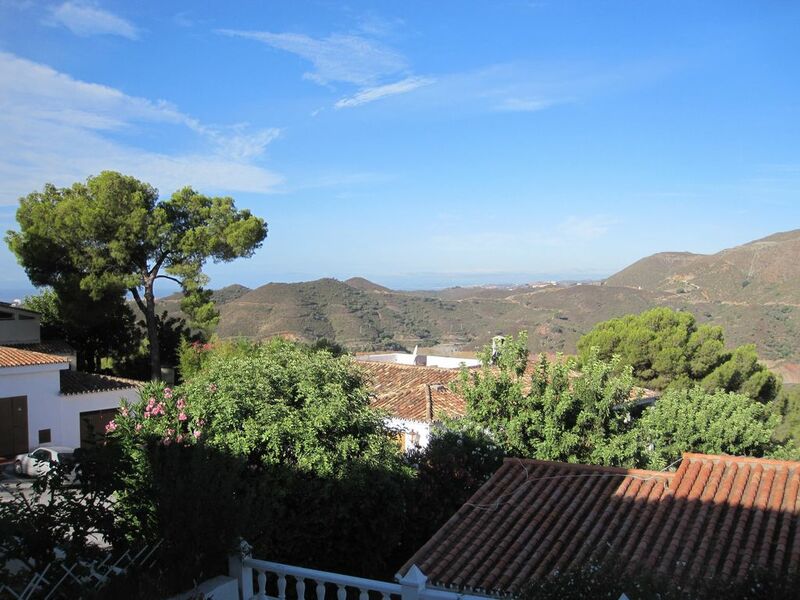 It is only 6 kms away from the beaches of Marbella and vibrant Puerto Banús (a scenic drive of less than 10 minutes). Cerros del Lago belongs to Istán, a beautiful white village in the Andalusian tradition with many hiking trails situated within a 10 minute drive where you find local restaurants and their typical atmosphere. In other words, you will be half way between the jet setting ambiance of Marbella and the traditional character of Istán. Perfect for those wishing to unwind and enjoy nature, the mountains as well as the night life of this famous Mediterranean resort. Golfers will find numerous great golf courses within 10 to 30 minutes by car. Entrance to the house is on the main floor, the house has a living room with a log fireplace, dining area, a modern fully fitted kitchen, a shower room and two terraces enjoying South-West facing views. The ground floor offers two ample double bedrooms with fitted wardrobes, one small bedroom linked to one of the main bedrooms, two bathrooms, a utility room and access to a very large terrace. The house is fully equipped with air conditioning, dishwasher, oven, micro-oven, washing and drying machines, ample crockery equipment, household linen including sheets, towels, bath towels & bed sheets. There is a large communal pool well maintained all year round at less than 100 meters from the house. The nearest airport is Malaga at about 60 km, a 50 minute drive.